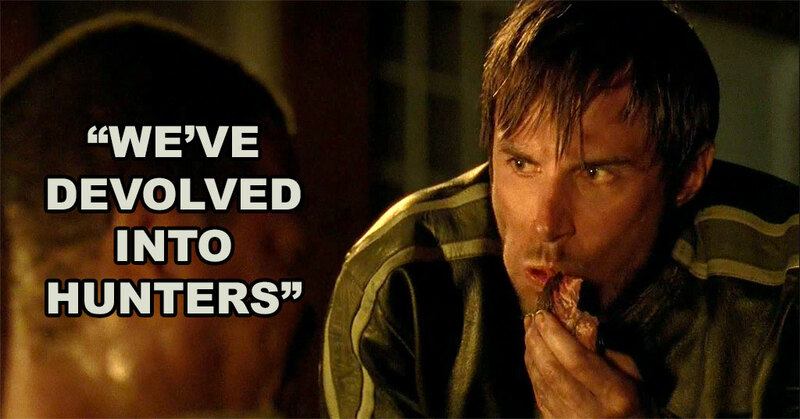 The Walking Dead writers added some much needed uplifting dialog to this episode. We saw several small moments of humour interspersed throughout. However, no witty dialog could ease the shock of the last scene in this episode. BBQ anyone? The group takes shelter in a church owned by a mysterious priest who's hiding something. Something is lurking in the shadows. Daryl and Carol follow a lead to the whereabouts of Beth. The group go swimming with walkers to fish-out some canned beans. Abraham has a discussion with the group regarding Washington.